Right now, get a FREE MYRIDE VX with IC6 purchase - a $799 value! 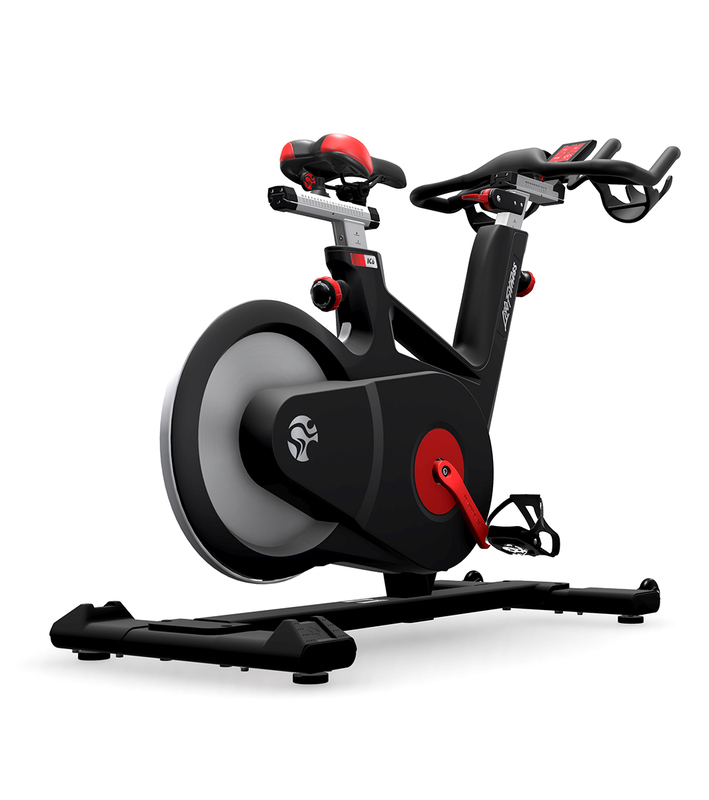 Myride® VX gives our award winning indoor bikes a full boost of adrenaline. Adding immersive, video-based instruction directly to the handlebar redefines your riding experience. Three built-in apps provide advanced data accuracy, results-orientated coaching and stunning footage from around the globe. The WattRate® Full Color TFT Computer features a bright, self-powered, fully integrated TFT screen and a front LED display. The screen displays a wealth of valuable training data such as watts, heart rate, rpms, exercise duration and resistance level. The WattRate® Power Meter displays a precise measurement of your effort in watts. This precision is achieved by using the patented flywheel run down technology and while riding, a positioning sensor measures the resistance applied to the magnetic brake system. Renewable, green-energy. No batteries required. Capturing your energy, the compact generator at the flywheel recharges the bike's integrated lithium polymer battery. User assist handlebar post technology reduces the handlebar weight, making it simple to customize the bike fit. The drivetrain equipped with Poly-V belt can transfer extreme levels of torque smoothly and its 1:10 gear ratio generates an incredibly fast flywheel speed. Offers superior biomechanics. A Q-Factor of 155mm makes the IC6feel more like a real bike. The benefits include increased safety, comfort, and efficiency in every pedal stroke. 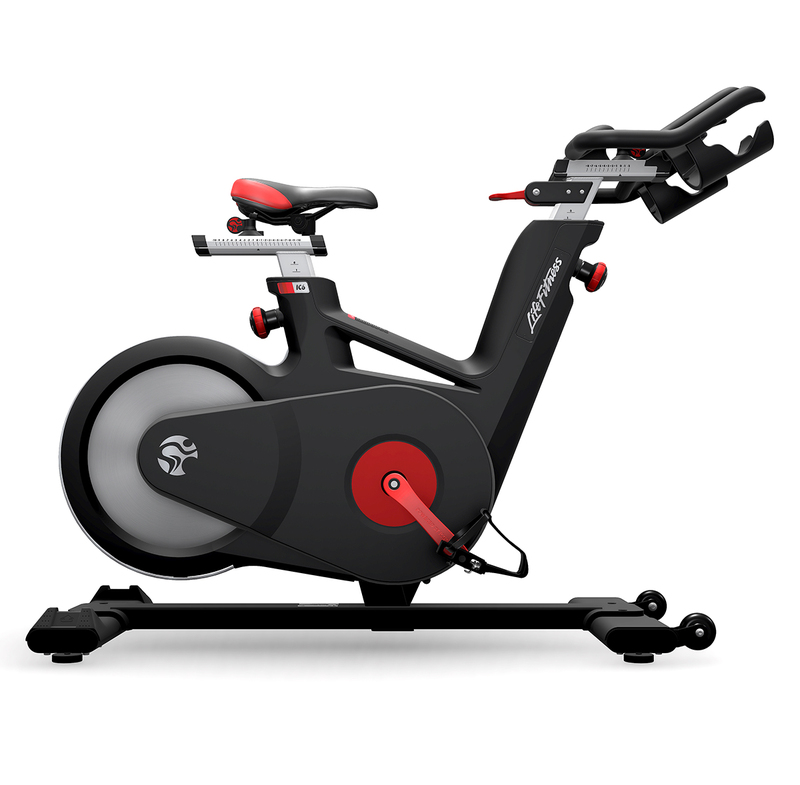 Myride® VX gives our award winning indoor bikes a full boost of adrenaline. Adding immersive, video-based instruction directly to the handlebar redefines your home riding experience. Three built-in programs provide advanced data accuracy, results-orientated coaching and stunning footage from around the globe. These ready-to-go riding experiences are built into the Myride console, no subscription required. Ride free of any distraction and get immersed in the stunning view ahead. Enhance your workout with footage from over 500 unique locations from around the world, from the Italian Alps to road trails in California. Each video is five minutes long, and filtered by terrain, descent, flat, mixed and climb, so you can build various trail playlists to suit your entertainment and training needs. Terrain-focused footage from all over the world, paired with chart-quality music and world-class voice-over coaching delivers fun yet fierce workouts. This app includes four different 50-minute classes designed to maximize results by building a strong aerobic base, as well as four 30-minute High Intensity Interval Training (HIIT) fast-classes. Coached workouts deliver results. Riding to world-class instruction and chart-quality music you will get fitter, faster and stronger. Our three different program formats appeal to all kinds of riders. Twelve 15-minute drills deliver HIIT training for those with limited time to work out. Four 30-minute fast-classes deliver athletic-based strength, endurance and speed coaching, synced with high-energy soundtracks. And four 50-minute standard classes offer a fully structured workout, including warming up and cooling down, to optimize performance. The Coach by Color® power program improves your riding experience and helps you achieve your fitness goals by delivering real-time, color-coded feedback. Coach by Color has five colored training zones: white, blue, green, yellow and red. The color you see while you ride is controlled by your functional threshold of power (FTP.) Once your personal FTP is established by the bike's computer, you're able to accurately understand your effort as you ride. And when you pair Coach by Color with Myride Personal or the ICG training app, expert instruction from Team ICG coaches you to achieve your goals.